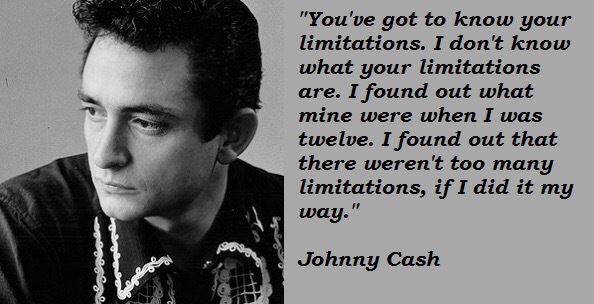 Another great quote from our man in black, Mr. Johnny Cash! This time he talks about finding one selves limitations. -And when you do things your way, there aren’t too many limitations. You’ve got to know your limitations. I don’t know what your limitations are. I found out what mine were when I was twelve. I found out there weren’t too many limitations, if I did it my way. For more Johnny Cash quotes, see here!